With the Stacy Adams Bingham Cap Toe Oxford, he ll be a stand out for his understated style. 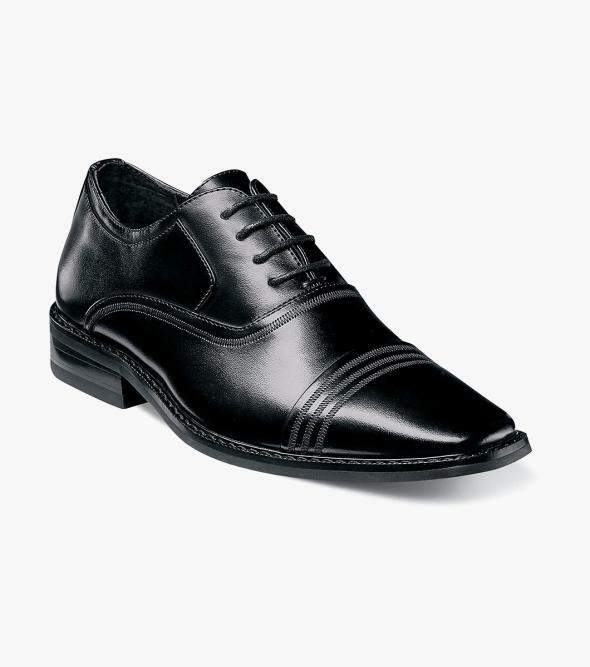 This cap toe features a chiseled toe and elegant lines of stitching on the toe and along the collar. A great looking shoe for a great looking young man.